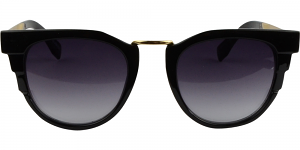 What is a Discount Prescription Sunglasses? How can you offer such discounted eyeglasses? 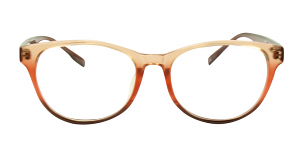 Founded by eye-doctors, glassespeople.com offers customers an inexpensive solution for acquiring high-quality, complete prescription eyeglasses and sunglasses through its e-commerce website. 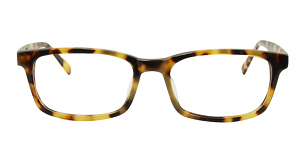 Completely doctor owned, its creators realized from their private practice and retail offices that they could bypass high-priced retail enterprises to offer the same high-quality, finished prescription eyewear at a much more affordable price. What's more, all of our eyeglasses and sunglasses are manufactured solely in the United States. With our state-of-the-art, consumer-friendly e-commerce website, we make it easy to save 80% or more when purchasing discount glasses online. 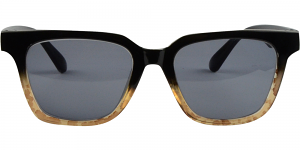 Although our eyewear is manufactured with the same high-quality materials seen at more expensive establishments, we can offer them at a large discount because of our tremendous volume. We also don't have expensive eyewear displays, employees working behind the counter, or retail space rented, which reduces our additional overhead costs. 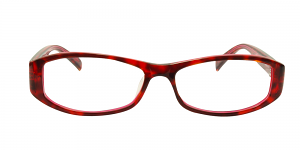 Because operating our e-commerce website is much less costly than operating a retail establishment, glassespeople.com is able to pass these savings on to you, our online customers. We offer the same top quality lenses that you would find at the finest optical shops and doctors' offices, but at a fraction of the cost. In many cases, you can even choose a second pair of eyeglasses and still pay less than you’d pay at a typical retail store for just one pair of glasses. Of course, it's one thing to hear this from us, but we think you might be interested in hearing from some of our customers. Take a look at what some of our customers have revealed about glassespeople.com. Do you offer a 100% Online Quality Guarantee? As a matter of fact we do. We provide an unconditional guarantee on all our frames and lenses that they will be free of defects, and manufactured and delivered exactly as ordered. Before your order is shipped to you, a certified technician inspects each pair of eyeglasses or prescription sunglasses to ensure correct frame alignment and prescription accuracy. We package your glasses in a durable, attractive hard case so they are well-protected during shipping. 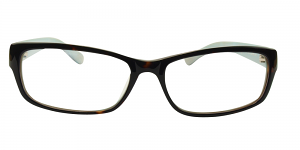 See our full selection of prescription glasses here. 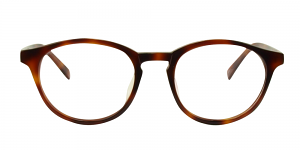 What kind of lenses can I get in my eyeglasses? Though we offer cheap prices on our prescription glasses, our lenses are top quality, thin or ultra-light Polycarbonate lens. 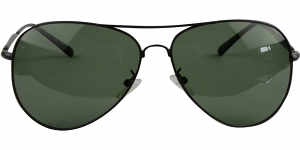 We use polycarbonate lenses for a number of reasons. First and foremost, it is the required lens type for all children's eyewear because of its safety qualities. In fact, polycarbonate is the type of material used in making bulletproof glass. It's also the preferred lens for people who have a lazy eye, or amblyopia, or who are blind in one eye. This material protects the "good" eye in case of an injury or accident. 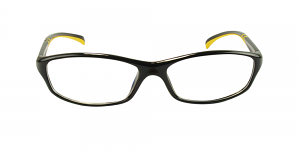 Secondly, polycarbonate lenses are the most impact-resistant and lightest material made for eyeglasses. 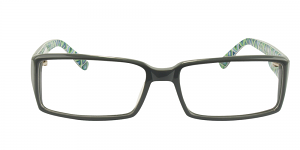 They are much thinner than CR39 (standard) optical lenses, due to the 1.59 refraction index. At no extra charge, all lenses come with a scratch-resistant coating (on both sides of the lenses) and a 100% UV coating. As a finishing touch, all lens edges are polished. 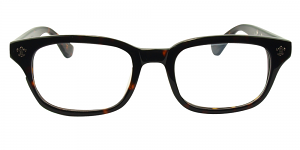 That said, we also carry a copious supply of other lenses for all of our eyewear frames. Have a frame that you really love? 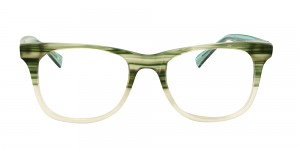 We offer the ability to re-lens your current frame with our high quality lenses. Can I order discount prescription sunglasses too? Sure you can! 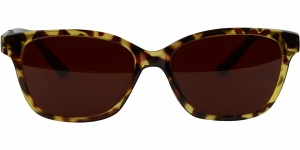 Any of our stylish frames can be made into prescription sunglasses -- with the same discounts as regular eyewear. 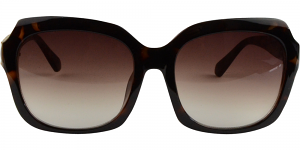 In fact, all of our frames can be purchased online as non-prescription or prescription sunglasses. 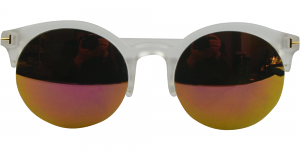 And, if you want to know whether you can order bifocal sunglasses as well -- you bet you can! 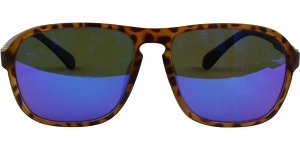 Our exclusive SmartFit Color Selector allows you to click on any frame page to customize your sunglasses for yourself. This technology is really one-of-a-kind because it's not available in retail stores. This enables our online customers to see all lens color and frame combinations for easy comparison right before their eyes before ordering. Once you're ready to order, our handy SmartFit PDF feature lets you print the exact sizing on the chosen frame to make for a perfect, customized fit. 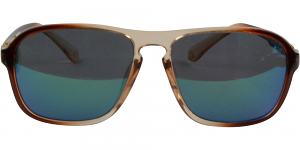 Take a look at our prescription sunglasses selection here. Can I get Anti-Reflective Coating? Absolutely. Anti-reflective coating enables people to see your eyes through their lenses, rather than a light reflection. Anti-reflective coating works by improving the light transmission through the lenses, always giving you sharp, clear vision. Anti-reflective lenses are highly recommended for night driving and computer use. 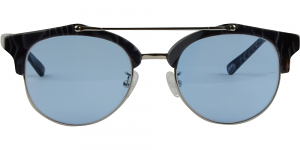 In most establishments, premium anti-reflective coating retails for around $70, but at glassespeople.com, you can add it to any package for just $24.95.